Campbell Co., VA - We are hearing more from the Lynchburg man whose testimony Jens Soering hopes could lead him out of prison, out of Virginia, and out of the United States. Witness Tony Buchanan says what happened at his auto shop not long after Elizabeth Haysom's parents were murdered. Soering and Haysom are both serving time for those killings. But, Buchanan says Haysom was with another man, not Soering, when she picked a car up from his shop. It's a car, he says, that was filled with dried blood. He says he even saw a knife. "When I seen the picture I said, that is not the guy that come by here in the car that day," said Buchanan. Tony Buchanan says Jens Soering is not the man who walked in to the car shop with Elizabeth Haysom. And he remembers Haysom well. Buchanan says even 26 years later, he's positive Soering was not with her; he's confident his memory's sharp. "People say, well, that was 26 years now ago. When I was Vietnam Veteran, I can remember the things that happened to me in Vietnam just like it was yesterday," said Buchanan. As if it were yesterday, he remembers that blood-stained car. "The driver's floorboard, it was full of dried blood, and there was blood all over the floorboard. And there was a knife laying between the seat in the console, in the console down on the bottom," said Buchanan. Buchanan believes the man who came in to his shop in 1985 is the same man who bloodied that car. "My feeling on it is the guy who was with the car had something to do with the murder. The guy who was with the car definitely was not Soering," said Buchanan. Buchanan's sworn statement ended with him telling Soering's attorney "what I told you today, as far as I'm related to this case, is the honest truth." Buchanan says he did contact one of Soering's attorneys, but never heard back. That was about a year after he says he encountered Elizabeth Haysom and that other man. Jens Soering says this witness ties up a number of loose ends, and supports what he's been saying happened all along. 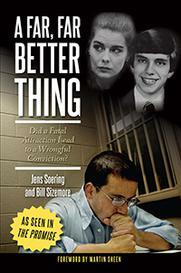 ABC 13's Noreen Turyn talked to Soering Thursday from prison for two hours. Soering admits, he did initially claim he did it. He says it was to keep Haysom from the electric chair. He also says he thought that, as a diplomat's son, he would be safe. After that, however, Soering says he has been telling the same story since- that Haysom and an unknown accomplice killed her parents. He says this new witness now backs up that story. "To me, the strongest part here is the murder weapon was never found and it's been one of the real mysteries of this whole case is what happened to that knife and okay, I think we finally have an answer," said Soering. Soering also says the bloody footprints on the floorboard are a big point as well. 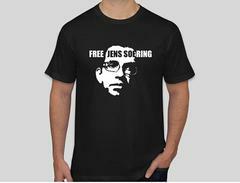 Soering wants to be paroled, so he can go back to Germany and never come back here. We'll have more on this case, in the coming days.